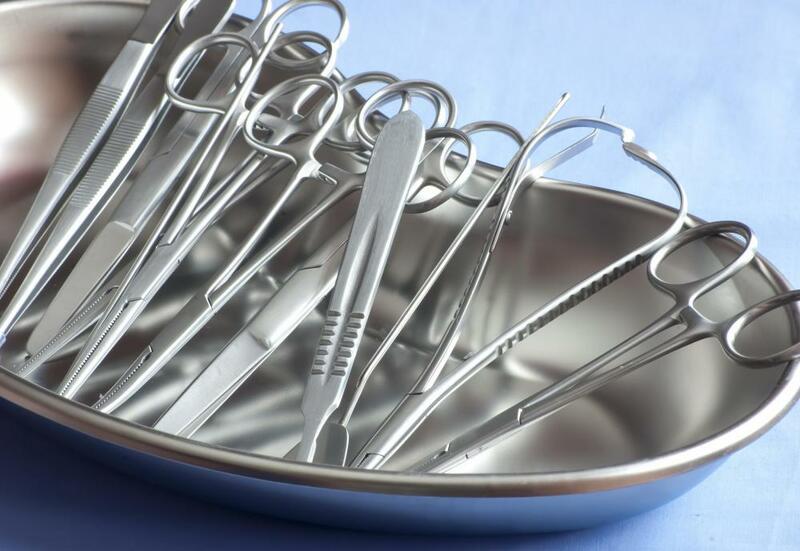 Forceps and other instruments are typically sterilized in an autoclave. Medical forceps are commonly used during a surgical procedure. Forceps are a standard part of the surgical tool kit. Medical forceps are a type of medical equipment used for various purposes by doctors, surgeons, dentists and other medical professionals. There are several types of medical forceps, each designed for different applications. Forceps probably are best known in their use as surgical equipment, but even during a single surgical procedure, a surgeon might make use of several types of forceps. Another common use for forceps is to assist in delivery of a baby. 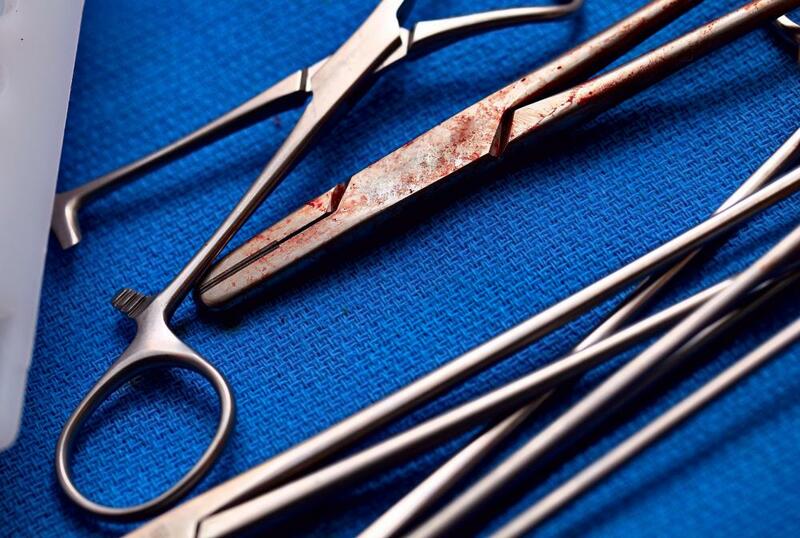 In these cases, the forceps have very large grasping ends specially designed to prevent damage to the baby's head when it is grasped in order to withdraw the baby from the uterus. In general, medical forceps have two unsharpened blades and a handle and look somewhat like a pair of scissors, though some more closely resemble tweezers. Instead of cutting with the blades, though, the surgeon uses the blade section to grasp or hold onto various items, usually tissue being treated during surgery or other medical procedures, or to hold suture needles while wounds or incisions are being sewn shut. Often, the grasping section of medical forceps is placed at an angle to the handle, making it possible for the surgeon to reach into small areas that otherwise are not accessible to a hand or fingers. The term "forceps" derives from Latin and originally was used to describe an instrument used to pick up something that was too hot to touch with bare fingers. Some of the various types of forceps include Kelly forceps, hemostatic forceps, dental forceps and locking forceps. Kelly forceps look like scissors, but the "blade" portion has blunt ends meant to grasp or hold tissue. They also usually are locking forceps that can be clamped down on a vein or artery and then locked in place to prevent bleeding. Another name for forceps used to prevent bleeding is hemostatic forceps, or a clamp. Dental forceps are used to remove teeth and are structured to allow the dentist to exert a great deal of pressure. Most medical forceps are stainless steel forceps, though some are made from titanium to reduce their weight. High-grade stainless steel or titanium allows forceps to be sterilized repeatedly for surgical use without degrading the metal. 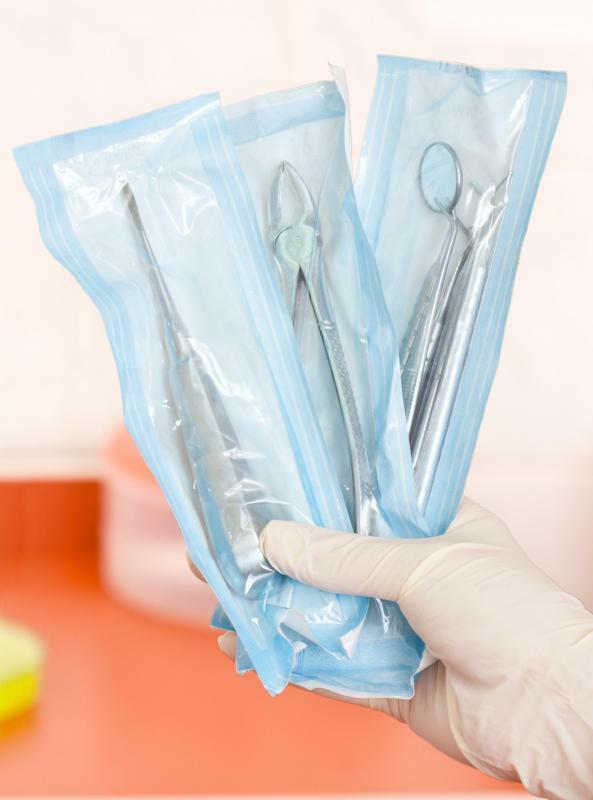 Disposable forceps, often made of plastic, are meant to be used only once, so they do not need to be subjected to the high temperatures of an autoclave. Some medical forceps are not meant for surgical use, so they are made from lower-grade stainless steel, because extensive sterilization is not necessary. How Do I Choose the Best Custom Stethoscope?